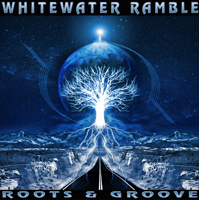 The band’s second studio album Roots & Groove showcases WWR’s growth as songwriters and musicians. Produced by Tim Carbone of Railroad Earth, the album features an array of special guests such as Andy Hall on dobro (Infamous Stringdusters), Andy Thorn on banjo (Leftover Salmon), Grammy Award winner John Macy on pedal steel and Bill McKay on piano. Live from the Big Sky Vol II: Covering Some Territory is the sequel to Live from the Big Sky Vol I. Recorded in the same room on 4/12/12, the Zebra Cocktail Lounge in Bozeman, Montana comes almost 4 years after Vol I. The entire show was over 4 hours and 20 tracks, but it was decided not to release anything but the choice cover songs, hence, Covering Some Territory. All the cover songs were extracted and place onto Big Sky Vol: II and features grassy’esque translations of U2, The Grateful Dead, Gillian Welch, The Dropkick Murphy’s, Jimmy Cliff, Bill Monroe, Duke Ellington, Hot Rize and the Carter Family and more. 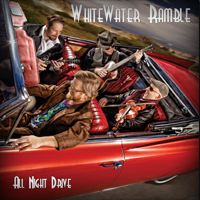 Their debut studio album, All Night Drive features 12 genre-jumping original tracks complimented by a who’s who of guest artists that showcases this formula. Produced by Tim Carbone of Railroad Earth fresh off projects with Greensky Bluegrass and Great American Taxi, the album leverages 6 years of touring, writing and arranging the very best of WWR’s original pieces. Guest artists include Steve Molitz of Particle/Phil&Friends, Josh Clark of Tea Leaf Green, Erik Yates from Hot Buttered Rum, Grant Gordy of the David Grisman Quintet and Pete Wall on Saxophones. Live From The Big Sky. 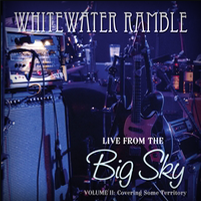 Recorded Live in August 2008 at the Zebra Lounge in Bozeman, Montana. 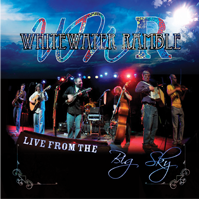 Also includes and a special bonus cut recorded live at the Mishawaka Amphitheatre during 2008 Ramble on the River festival featuring Henry Butler on piano and Pete Wall on Saxophones. Includes the originals Purgatory Shuffle, Pack Mule Blues, Drawing Straws and Kaleidoscope. Featuring cover interpretations of Michael Jackson, BB King, The Grateful Dead, Bill Monroe and More.